WILKESBORO, NC – MerleFest, presented by Window World, is proud to announce the initial lineup for MerleFest 2019, which will be held April 25-28. The annual homecoming of musicians and music fans returns to the campus of Wilkes Community College in Wilkesboro, North Carolina, in the foothills of the Blue Ridge Mountains. The complete lineup for MerleFest 2019 will be announced over the next few months. Today’s lineup announcement includes Wynonna & The Big Noise, Keb’ Mo’, The Earls of Leicester, Sam Bush, Tyler Childers, Peter Rowan and The Free Mexican Air Force, and many more. The 2019 Late Night Jam on Saturday, April 27th will start at 10:30 p.m. and run well past midnight, hosted by Chatham County Line. This very popular after-hours hootenanny in the Walker Center gathers many performers from the festival for impromptu artistic collaborations and one-of-a-kind superstar jams that have become legendary in the festival’s history. Ticket sales for both the festival and Late Night Jam are now on sale. Wynonna and her band The Big Noise, led by her husband/drummer/producer, Cactus Moser, released their debut full-length album in February 2016 via Curb Records to critical acclaim. 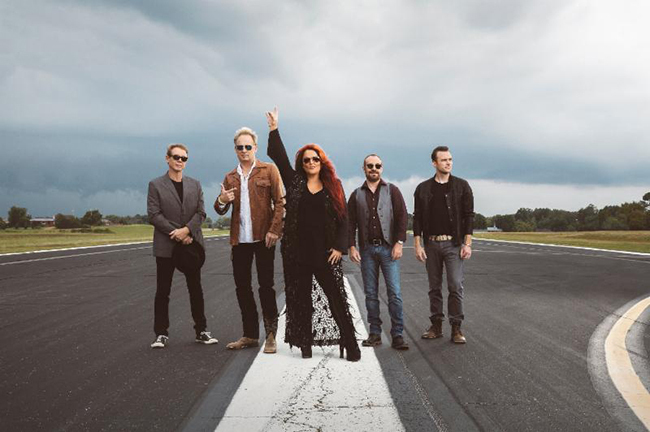 Wynonna has described the new sound as “vintage yet modern” and a “return to the well.” It’s a rootsy work encompassing country, Americana, blues, soul and rock. NPR’s Ann Powers noted that, “With her tight band behind her after touring together for several years, she just sounds like she’s home…You can just feel the grin on her face.” Wynonna & The Big Noise will make their MerleFest debut on Thursday night. B.B. King, Buddy Guy, the Dixie Chicks, Joe Cocker, Robert Palmer and Tom Jones have all recorded his songs. His guitar playing has inspired leading instrument makers Gibson Brands to issue the Keb’ Mo’ Signature Bluesmaster acoustic guitar and Martin Guitars to issue the HD-28KM Keb’ Mo’ Limited Edition Signature model. 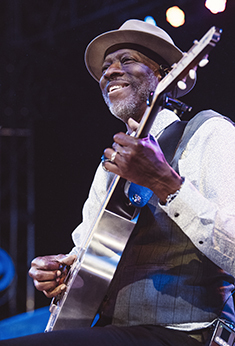 Combining his masterful, anecdotal writing skills, distinctive guitar versatility and rich, resonant, blues-soaked vocals, Keb’ Mo’ will carry on his signature, live performance experience on Saturday -- his first appearance at MerleFest. The Earls of Leicester: When The Earls of Leicester formed in 2013, their mission was ambitious but exact: to preserve and promote the legacy of bluegrass legends Lester Flatt and Earl Scruggs, in hopes of reviving the duo’s music for long time admirers and introducing a new generation to their genre-defining sound. Within a year of releasing their self-titled debut, the Nashville-based six-piece far surpassed their own expectations, winning a GRAMMY Award for "Best Bluegrass Album" and earning six awards from the International Bluegrass Music Association. Now, with their first live album, The Earls of Leicester offer up a selection of songs that fully capture the pure joy and supreme musicianship that propel their every performance. Recorded over two nights at Nashville’s CMA Theater, The Earls of Leicester Live at The CMA Theater in The Country Music Hall of Fame bears a boundless vitality that makes songs from over a half-century ago feel irresistibly fresh. Despite the band’s painstaking precision in recreating the catalog of Flatt and Scruggs’ Foggy Mountain Boys, the album unfolds with an easy warmth that honors the essence of traditional bluegrass, which Douglas describes as “music that was meant to be played on back porches.” The Earls of Leicester will perform on Saturday evening at MerleFest. Sam Bush: From teen fiddle champion to groundbreaking mandolinist, there is only one Sam Bush. The son of Kentucky reared on Bill Monroe’s bluegrass came of age in the counterculture cyclone of the late ‘60s. In the genre’s outsiders like the Osborne Brothers and The Dillards, Bush heard the future, and by the dawn of the 1970s was leading his own New Grass Revival, driven by the power of rock-and-roll and the freedom of improvisational jazz. Bush and his hippie co-conspirators changed the bluegrass landscape, touring with Leon Russell, winning fans at festivals across the country, and recording GRAMMY-winning songs. At the group’s peak, after taking aim at the top of the Country charts, Bush walked away. Subsequent stints with Emmylou Harris and Bela Fleck brought him well-deserved recognition, numerous awards, and the gushing respect of a whole new generation of bluegrass upstarts. The once rebellious apprentice had become the genre’s gold-standard master. And now, for fans everywhere, the documentary telling Bush’s full story, Revival: The Sam Bush Story, not only chronicles the life and career of the newgrass creator, but weaves an emotional, inspiring story about the risks and rewards of being a musical iconoclast. Sam Bush will perform at MerleFest on Saturday. Tyler Childers: Like many great Southern storytellers, singer-songwriter Tyler Childers has fallen in love with a place. The people, landmarks and legendary moments from his childhood home of Lawrence County, Kentucky, populate the 10 songs in his formidable debut, Purgatory, an album that’s simultaneously modern and as ancient as the Appalachian Mountains in which events unfold. The album, co-produced by GRAMMY Award winners Sturgill Simpson and David Ferguson, is a semi-autobiographical sketch of Childers’ growth from wayward youth to happily married man, told in the tradition of a Southern gothic novel with a classic noir anti-hero who may just be irredeemable. Purgatory is a chiaroscuro painting with darkness framing light in high relief. There’s catharsis and redemption. Sin and temptation. Murder and deceit. Demons and angels. Moonshine and cocaine. So much moonshine and cocaine. All played out on the large, colorful canvas of Eastern Kentucky. Tyler Childers will make his MerleFest debut on Friday evening. Peter Rowan and The Free Mexican Air Force: GRAMMY Award winner Peter Rowan is a singer-songwriter with a career spanning over five decades. From his early years playing under the tutelage of Bluegrass veteran Bill Monroe, to his time in Old & In the Way and his breakout as a solo musician and bandleader, Rowan has built a devoted, international fan base through a solid stream of recordings, collaborative projects, and constant touring. The late ‘60s and early 70’s saw Rowan involved in a number of rock, folk and bluegrass projects, including Earth Opera, Sea Train, Muleskinner, and the Rowans, where he played alongside brothers Chris and Lorin Rowan. After the Rowan Brothers disbanded, Rowan, David Grisman, Jerry Garcia, Vassar Clements and John Kahn formed a bluegrass band christened Old & In the Way. It was during this incarnation that Rowan penned the song “Panama Red,” a subsequent hit for the New Riders of the Purple Sage and a classic ever since. Peter Rowan returns to MerleFest with The Free Mexican Air Force on Sunday. American Aquarium, Andy May, Ana Egge & The Sentimentals, AZTEC SUN, Banknotes, Bob Hill, Cane Mill Road, Carol Rifkin, Carolina Blue, Catfish Keith, Charles Welch, Chatham County Line, David LaMotte, Dirk Powell Band, Donna the Buffalo, Driftwood, Elephant Sessions, Elizabeth Cook, Ellis Dyson & The Shambles, Gordie MacKeeman & His Rhythm Boys, Happy Traum, Irish Mythen, Jack Lawrence, Jeff Little Trio, Jess Morgan, Jim Avett, Jim Lauderdale, Joe Smothers, Jontavious Willis and Andrew Alli, Junior Brown, Junior Sisk, Larry Stephenson Band, Laura Boosinger, Lindi Ortega, Mark Bumgarner, Mark & Maggie O’Connor, Maybe April, Michaela Anne, Mile Twelve, Mitch Greenhill and String Madness, Nixon, Blevins, & Gage, Pete & Joan Wernick and FLEXIGRASS, Presley Barker, Professor Whizzpop!, Radney Foster, Roy Book Binder, Salt & Light, Scythian, Shane Hennessy, Si Kahn & The Looping Brothers, Steve Poltz, T Michael Coleman, The Black Lillies, The Gibson Brothers, The Harris Brothers, The InterACTive Theatre of Jeff, The Kruger Brothers, The Local Boys, The Trailblazers, The Waybacks, Todd Albright, Tom Feldmann, Tony Williamson, Valerie Smith & Liberty Pike, Wayne Henderson, Webb Wilder, and Yarn. MerleFest was founded in 1988 in memory of the son of the late American music legend Doc Watson, renowned guitarist Eddy Merle Watson. MerleFest is a celebration of "traditional plus" music, a unique mix of traditional, roots-oriented sounds of the Appalachian region, including old-time, classic country, bluegrass, folk and gospel and blues, and expanded to include Americana, classic rock and many other styles. The festival hosts a diverse mix of artists on its 13 stages during the course of the four-day event. MerleFest has become the primary fundraiser for the WCC Foundation, funding scholarships, capital projects and other educational needs. For more information, visit www.MerleFest.org. Window World®, headquartered in North Wilkesboro, N.C., is America’s largest replacement window and exterior remodeling company, with more than 200 locally owned offices nationwide. For more information, visit www.WindowWorld.com.